Double Sided Legend Panel for Edge Lit LED Exit Signs Green legend - Replacement Panel for Single Sided Edge Lit panels where double sided is required. 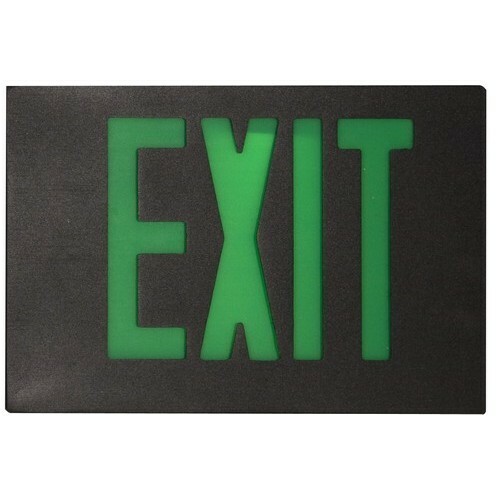 Cast Aluminum LED Exit Sign - Green LED - Black Housing - Aluminum Face - Our Decorator LED Exit Sign combines safety and style. 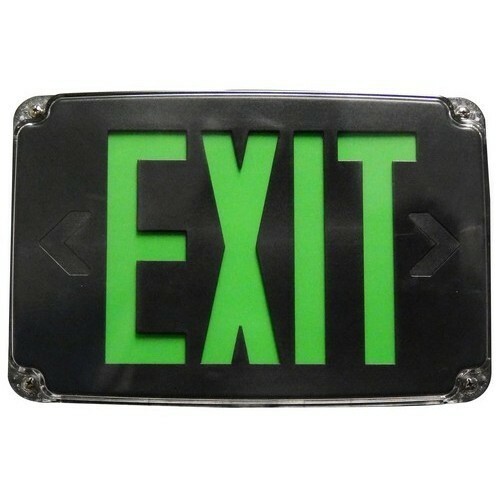 Cast Aluminum LED Exit Sign - Green LED - Black Housing - Black Face - Our Decorator LED Exit Sign combines safety and style. 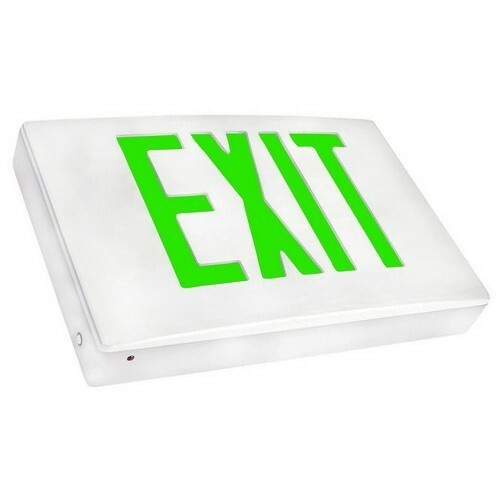 Cast Aluminum LED Exit Sign - Green LED - White Housing - Aluminum Face - Our Decorator LED Exit Sign combines safety and style. 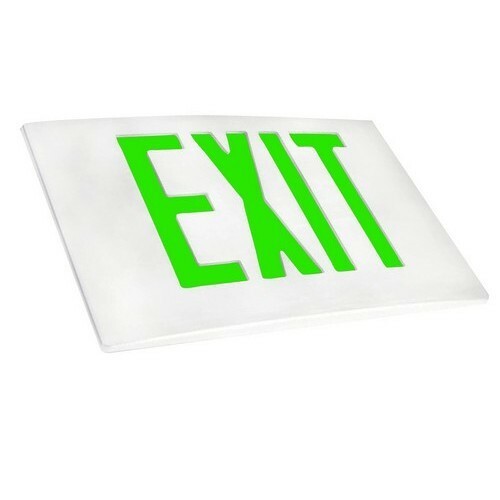 Cast Aluminum LED Exit Sign - Green LED - White Housing - White Face - Our Decorator LED Exit Sign combines safety and style. Cast Aluminum LED Exit Sign - Red LED - Aluminum Housing - Aluminum Face - Our Decorator LED Exit Sign combines safety and style. 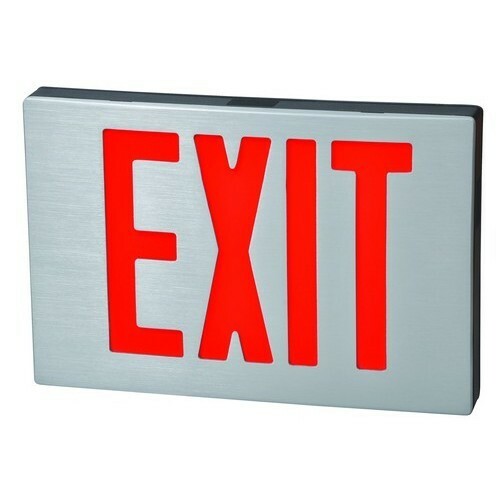 Cast Aluminum LED Exit Sign - Red LED - Black Housing - Aluminum Face - Our Decorator LED Exit Sign combines safety and style. 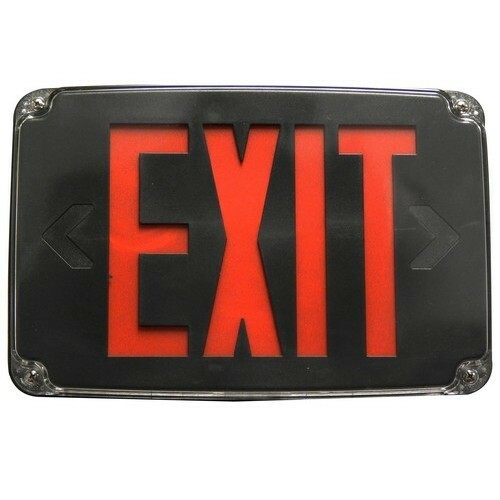 Cast Aluminum LED Exit Sign - Red LED - Black Housing - Black Face - Our Decorator LED Exit Sign combines safety and style. 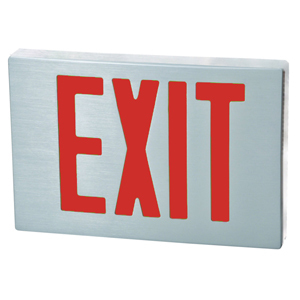 Cast Aluminum LED Exit Sign - Red LED - White Housing - Aluminum Face - Our Decorator LED Exit Sign combines safety and style. Cast Aluminum LED Exit Sign - Red LED - White Housing - White Face - Our Decorator LED Exit Sign combines safety and style. 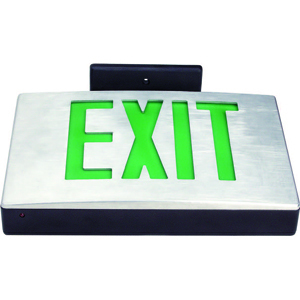 Cast Aluminum LED Exit Sign Face Plate Green LED Black Face - Extra Face Plate for 2 Sided Applications. 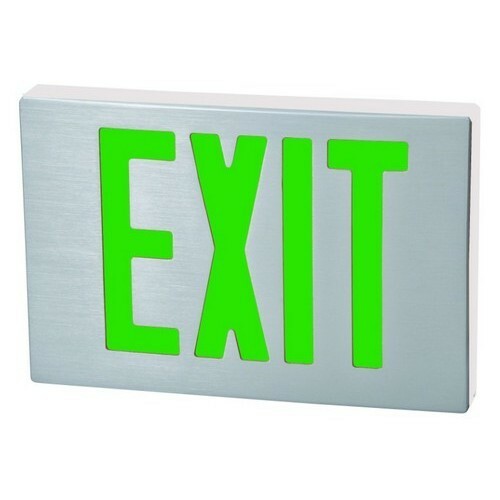 Cast Aluminum LED Exit Sign Face Plate Green LED Brushed Aluminum Face - Extra Face Plate for 2 Sided Applications. 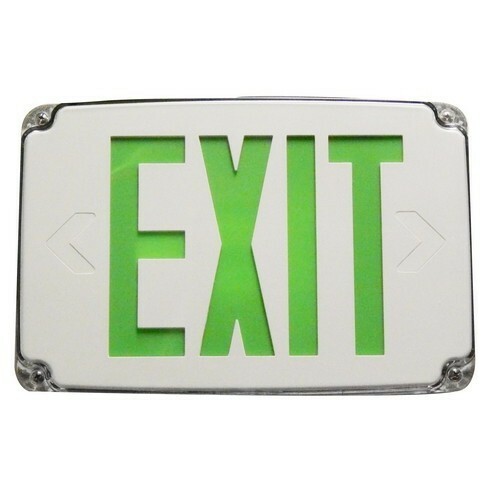 Cast Aluminum LED Exit Sign Face Plate Green LED White Face - Extra Face Plate for 2 Sided Applications. 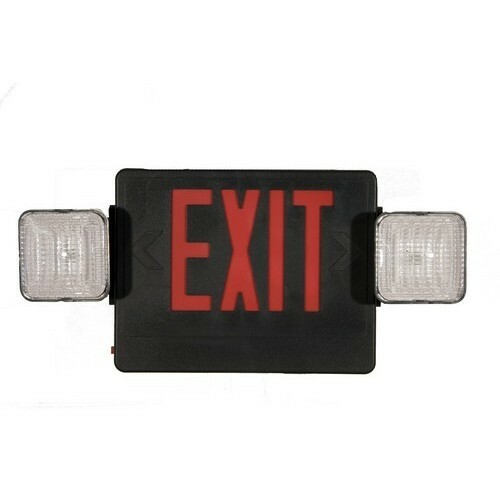 Cast Aluminum LED Exit Sign Face Plate Red LED Black Face - Extra Face Plate for 2 Sided Applications. 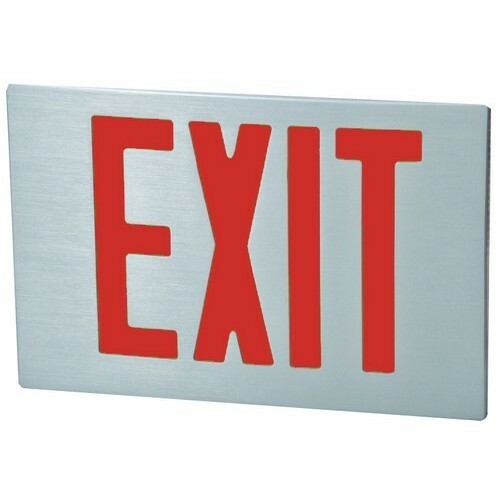 Cast Aluminum LED Exit Sign Face Plate RED LED Brushed Aluminum Face - Extra Face Plate for 2 Sided Applications. 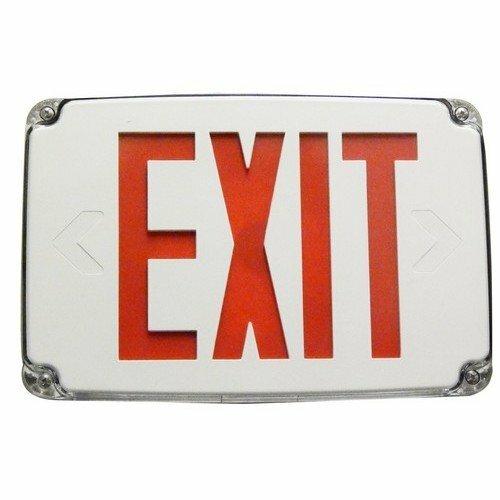 Cast Aluminum LED Exit Sign Face Plate Red LED White Face - Extra Face Plate for 2 Sided Applications. Combo LED Exit Emergency Light Green LED Black Housing - This Emergency Light and LED exit sign provides twice the safety for half the price. 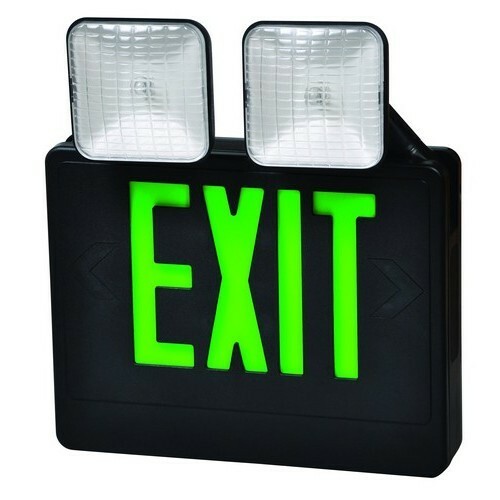 Combo LED Exit Emergency Light Green LED Black Housing Remote Capable - This Emergency Light and LED exit sign provides twice the safety for half the price. Combo LED Exit Emergency Light Green LED White Housing - This Emergency Light and LED exit sign provides twice the safety for half the price. 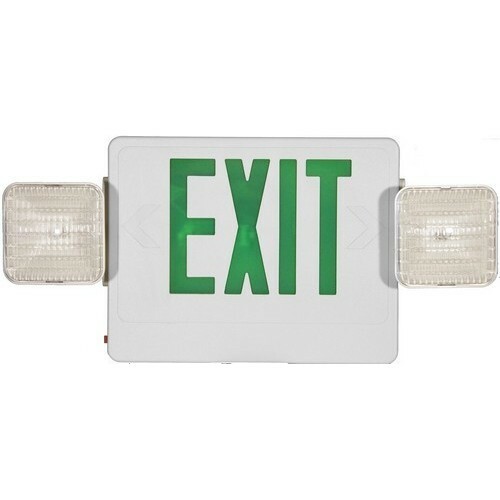 Combo LED Exit Emergency Light Green LED White Housing Remote Capable - This Emergency Light and LED exit sign provides twice the safety for half the price. 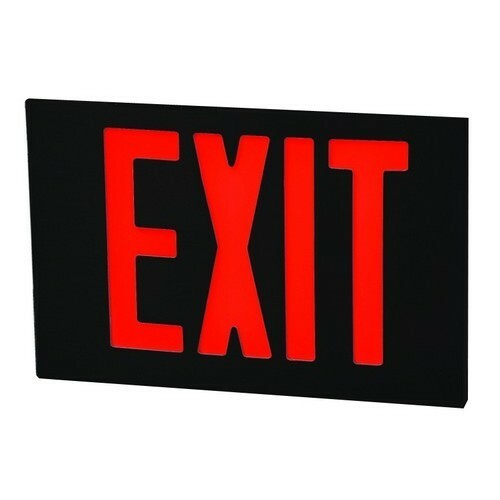 Combo LED Exit Emergency Light Red LED Black Housing Remote Capable - This Emergency Light and LED exit sign provides twice the safety for half the price. 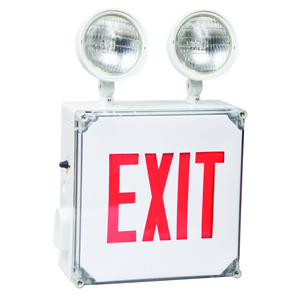 Combo LED Exit Emergency Light Red LED White Housing - This Emergency Light and LED exit sign provides twice the safety for half the price. Case Qty: 4 This item does not ship to APO/FPO addresses. 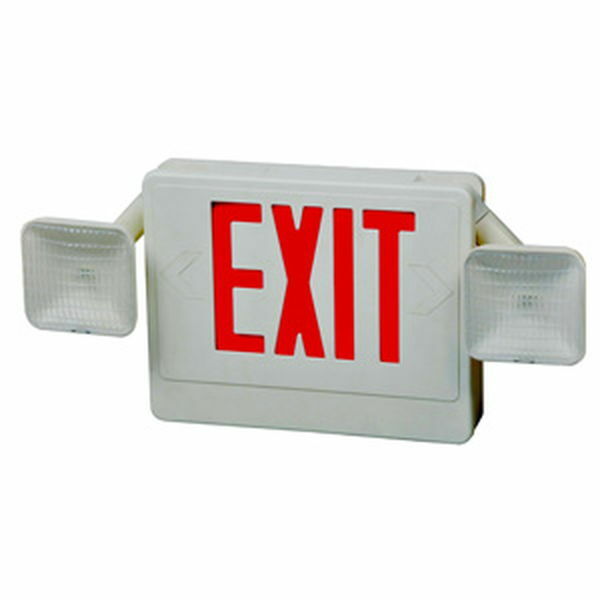 Combo LED Exit Emergency Light Red LED White Housing Remote Capable - This Emergency Light and LED exit sign provides twice the safety for half the price. 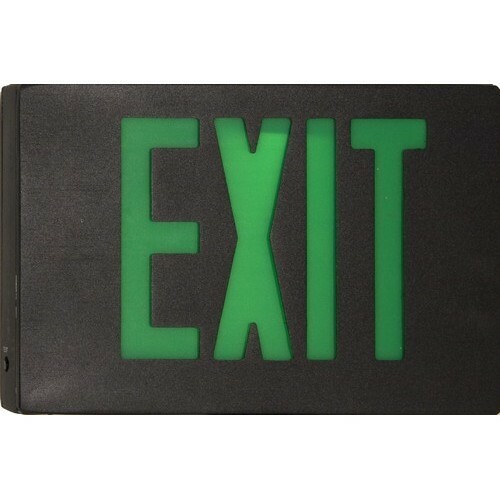 Compact Cold Weather & Wet Location LED Exit Sign Battery Backup Green LED Black Housing - Our Emergency Backup Exit Sign stands up to harsh environments. Compact Cold Weather & Wet Location LED Exit Sign Battery Backup Green LED White Housing - Our Emergency Backup Exit Sign stands up to harsh environments. 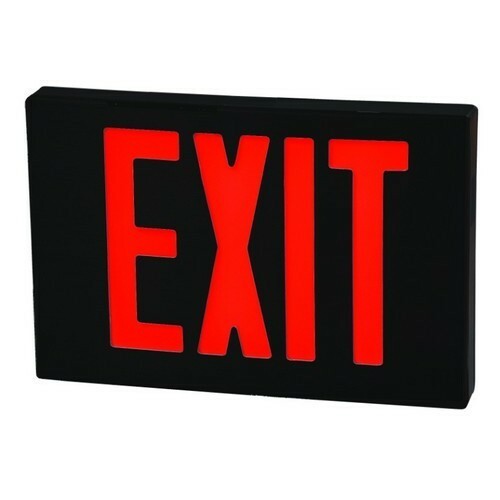 Compact Cold Weather & Wet Location LED Exit Sign Battery Backup Red LED Black Housing - Our Emergency Backup Exit Sign stands up to harsh environments. 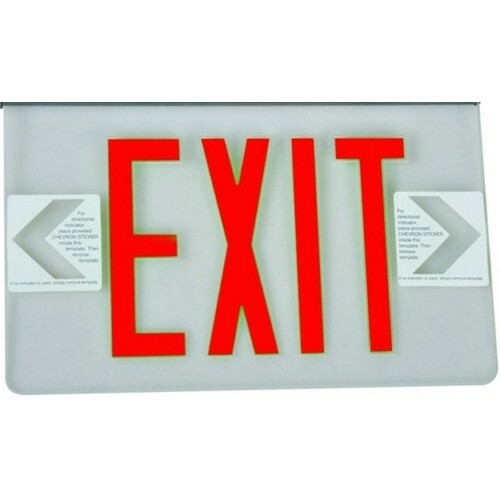 Compact Cold Weather & Wet Location LED Exit Sign Battery Backup Red LED White Housing - Our Emergency Backup Exit Sign stands up to harsh environments.